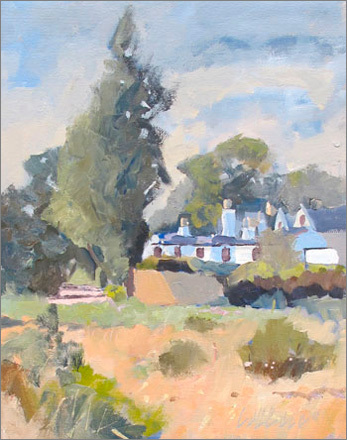 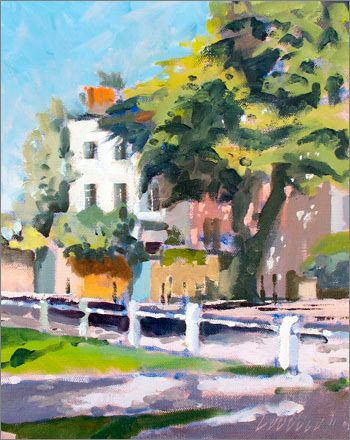 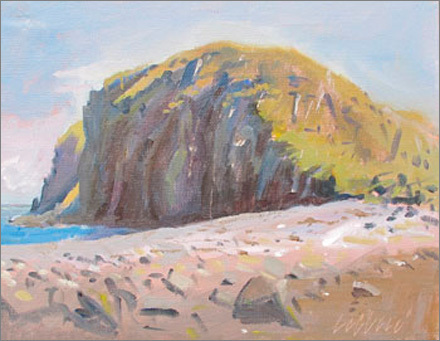 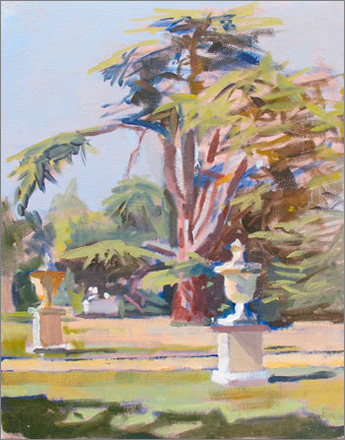 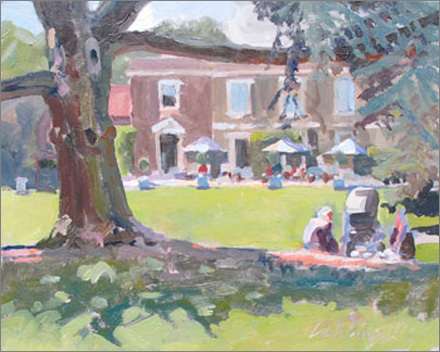 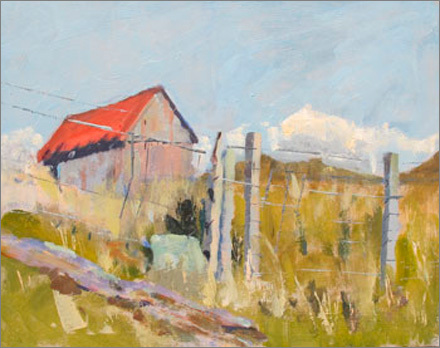 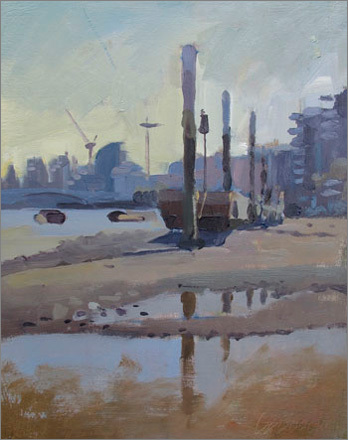 Ian Lettice is a graduate of Hornsey and Kingston art colleges, he paints outdoors, en plein air, as much as he can. 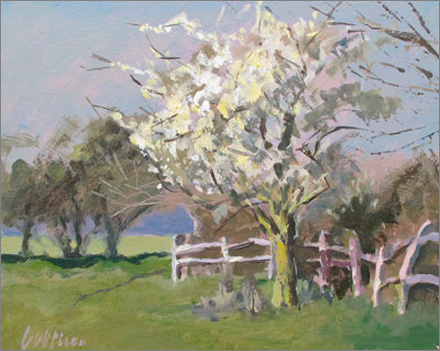 Corot the father of plein air painting, advised Pissarro to “go to the country - the muse is in the woods”… and he went, creating the most influential plein air paintings of his day. 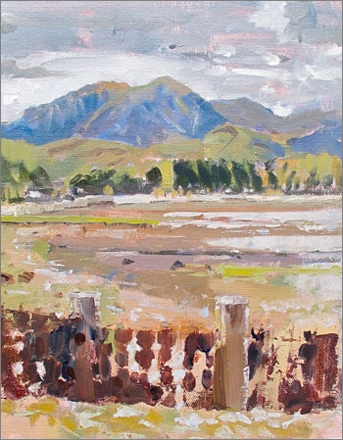 This timeless notion inspires Ian. 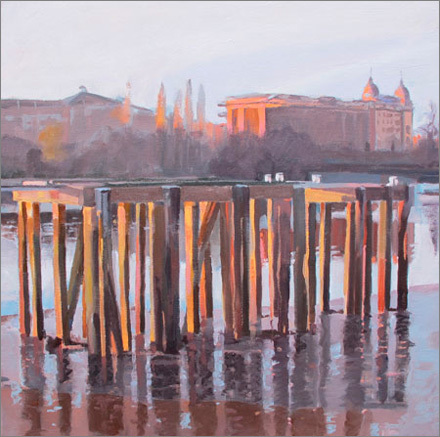 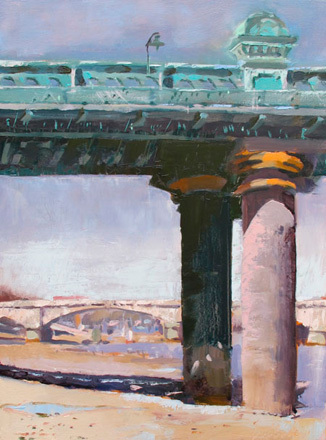 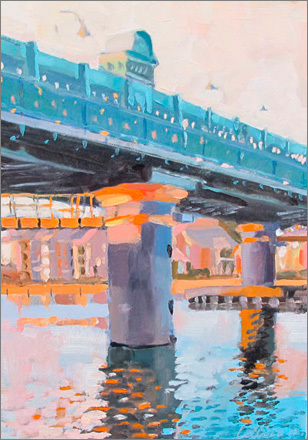 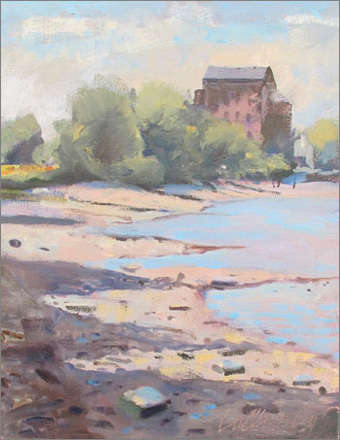 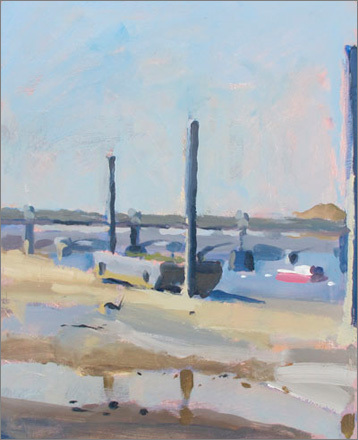 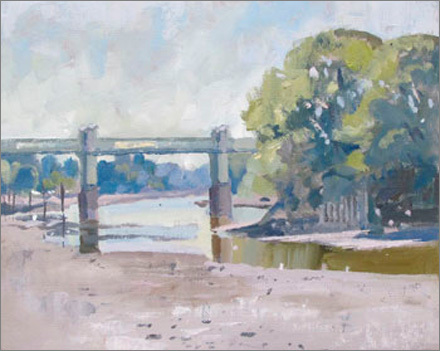 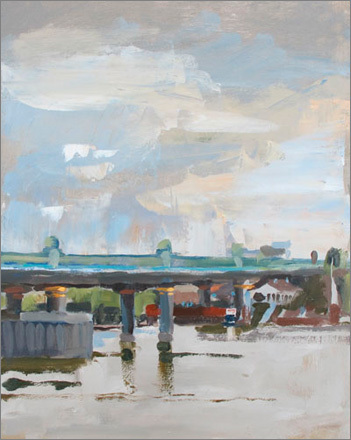 However, living in Putney, he has had to find his own ‘country’, and have made the Thames his wilderness, standing on its riverbed or riverbank, portraying the many weather and tidal conditions in his small oil paintings.